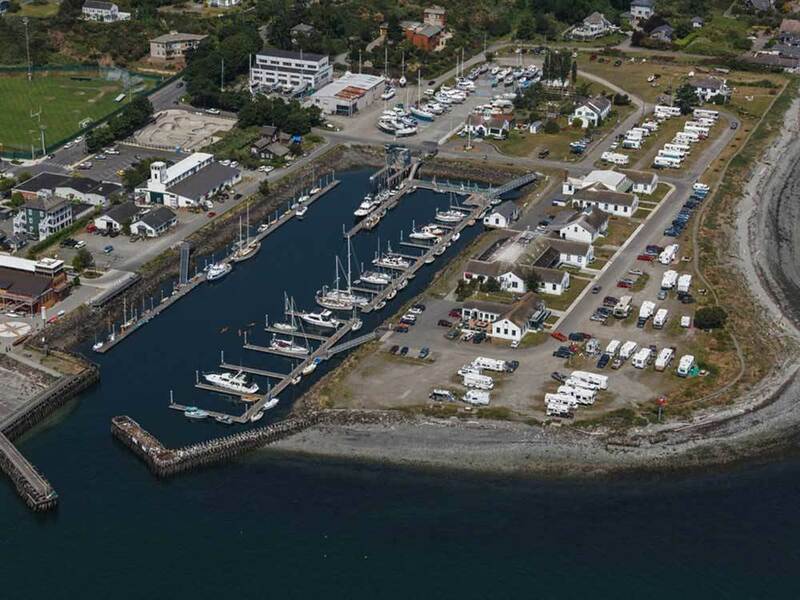 Amazing Waterfront Views from this RV location next to Point Hudson Marina. Maritime heritage, artist spirit and a touch of urban chic best describes the Port Townsend areas which have activities for every taste. Point Hudson is another of our favorite properties while in Washington. The water views here are just great! Right by the harbor/docks you can see the seals, deer, eagles, just a wide variety of wildlife. The lighthouse at Fort Wooden is visible from Point Hudson RV Park. The ferry is just a short distance away. There are some nice garden areas though the individual sites are not decorated. We enjoyed the onsite restaurants which are just a few steps away! The staff was helpful. The laundry and bathrooms seemed better than last year - I think they've had some remodeling done. The big thing here is the waterfront and views.